I was searching online to cut out the background from my photos, and I was glad that I stumbled upon this website called Bonanza which offers Background Burner. I highly recommend checking out Bonanza's Background Burner. I like the fact that it does not require any downloads to use because it only runs in your web's browser, plus it's totally free. Once you're viewing their website, all you need to do is choose a file, select a photo and open it. The site will instantly receive the photo upload and initialize the Background Burner. I tried to use it and select a banana photo. 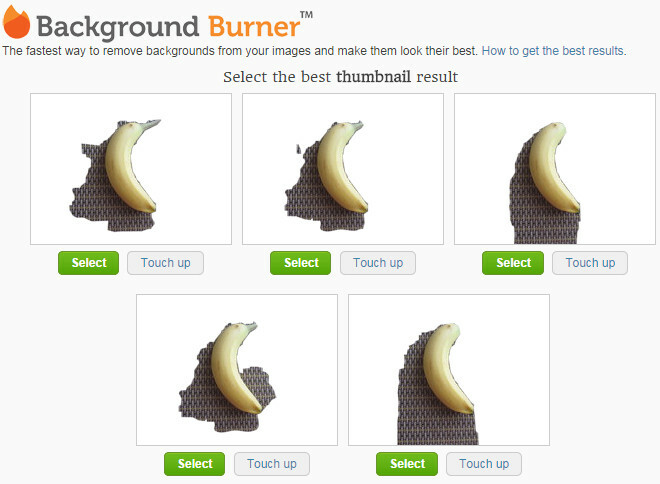 The Background Burner removes the background from any image or photo automatically by itself. You only need a little time to clean it up for a much cleaner effect of your object. It will present the results fast and generally offers some options to choose from. Depending on the picture that you uploaded, one of the thumbnail results may be fine. If you're contented with the thumbnail result, just click the “Select” button and download it. But if you're not contented with all of the thumbnail results just like me, you can choose "Touch up" with the best outcome of the group and do some touch ups until you reach the best result. 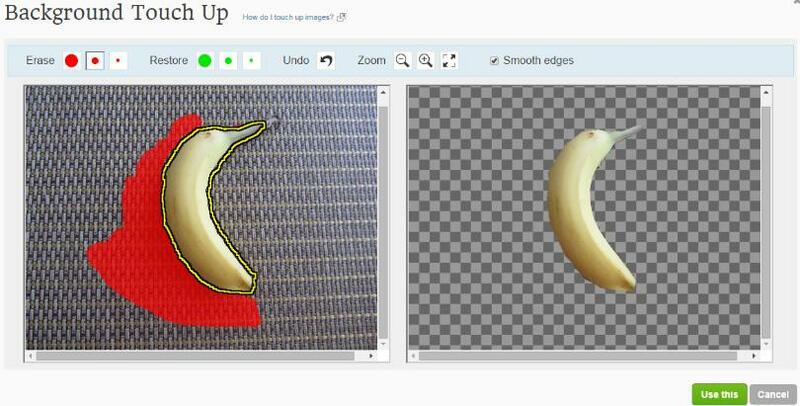 The website has a set of interactive touch-up tools to offer you the best background outline. Once you decide that you need to touch up, you can simply use the green brush to trace or mark those parts that you want to keep and the red brush to mark parts you want to remove. Take note that there are three brush sizes to choose from for each color and you can also zoom it for a clearer view. Once you're done, you can download your creation either as a PNG with a transparent background or a JPG with a white background. Some may wonder if Background Burner can remove the white background from an image. The answer is yes, if you have an image with a white background, you can run it through the Burner and save it as a PNG. This will easily convert the white background into an alpha layer and then make the background transparent. Some online sellers find it important to remove any background from product photos for a cleaner effect. If you happen to sell items or products on a marketplace such as Ebay, Amazon, Bonanza, and among other websites, buyers may likely buy when your those item photos have white and clean background. This could also help sell your old or new stuff at home that you no longer need.